Kuching 15-16 March: After two days of discussions and panels between ministers, government officials, community members, civil society organizations, and industry experts, the resulting message of the Clean Energy Collaboration is clear: Malaysia has an incredible opportunity to lead the renewable energy transformation in the region, and communities around Malaysia are already leading the way. In a two day event people from a myriad of backgrounds are meeting in Kuching to discuss creating renewable energy pathways for Sarawak and Malaysia. Save Rivers and other local Civil Society Organizations (CSOs) are holding the conference in order to push the agenda of renewable energy at a state and national level while ensuring community involvement in issues that directly impact everyone.This is the first time that people from rural communities from around Sarawak have been included in high-level discussions with government ministries, civil society organizations (CSOs), energy companies, and local and international experts. The conference comes at a globally critical time as countries around the world prepare transitions to renewable energy sources. How each country responds will determine its place in the new global order created by the transition to renewable energy, but will affect its ability to improve the lives of its people and meet its Sustainable Development Goals. The CEC has drawn speakers and support from many state and federal ministries, as well as from the energy industry, international organizations, universities, and Malaysian banks. In addition to community representatives, speakers include Public Works Minister YB Baru Bian, Senator YB Adrian Lasimbang, and YB Isnaraissah Munirah Majilis, Deputy Minister of the Ministry of Energy, Science, Technology, Environment, and Climate Change (MESTECC), and representatives from Sarawak Energy Berhad (SEB), the Sarawak Ministry of Utilities, the Sustainable Energy Development Authority (SEDA), Sabah Electricity Sendirian Berhad (SESB), and the United Nations Development Program (UNDP). The speakers and participants do not only come from Malaysia but other countries such as Indonesia, Myanmar, the US, Australia and Switzerland. The CEC is organised by a group of Civil Society Organisations: SAVE Rivers from Sarawak, Jaringan Orang Asal Semalaysia (JOAS or Network of Indigenous Peoples of Malaysia) and PACOS, a CSO based in Sabah. It is supported by the Renewable and Appropriate Energy Laboratory, University of California, Berkeley; the United Nations Development Project (UNDP) and the Sarawak Convention Bureau. (MESTECC) is proud to participate in the Clean Energy Collaboration, Kuching. MESTECC welcomes the effort of gathering the stakeholders to discuss the renewable energy pathways for Malaysia. The Federal Government shares the vision of a renewable energy future for Malaysia with all stakeholders including communities. there is an increasing global progress of switching to the green energy, led by countries like Germany, the United Kingdom, Sweden, Iceland, Uruguay, China and Australia, Malaysia has the opportunity to become Southeast Asia’s clean energy and renewable industries leader. Therefore, the Federal Government has set a renewable energy target of 20% by 2030. I am convinced that the adoption of renewable energy will help the nation to become more competitive. Not only can we set new standards for renewable energy in the region, we can also build an industry that will be able to empower other countries down the road. MESTECC understands growing commercial and industrial energy demand. We have to provide enough electricity to progress, while addressing the negative impacts that centralized mega projects often entail. The environmental,social and financial costs of mega energy projects such as dams make sense as a very last resort. I appreciate that this group of Sarawak & Sabah based Civil Society Organisations have organized this conference, engaging a cross-section of stakeholders including urban and rural communities. I hope that this is the start of a process of engagement which will continue harmoniously. 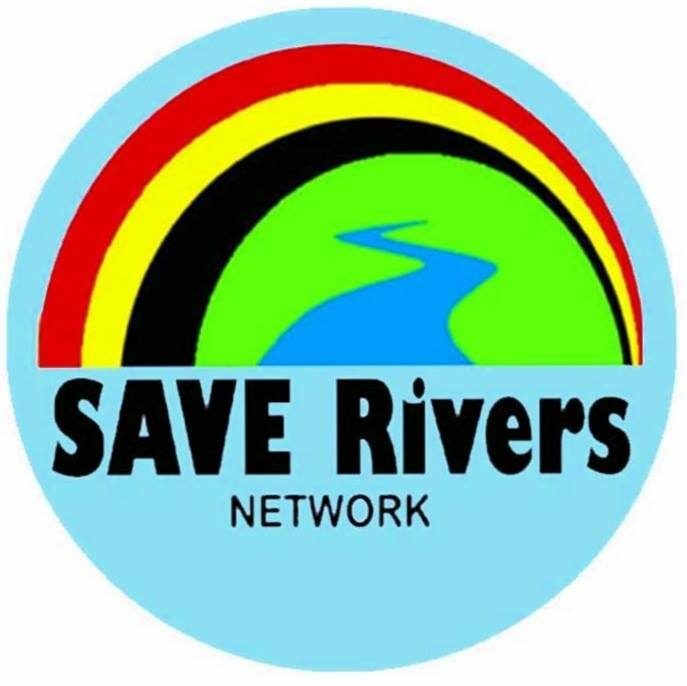 SAVE Rivers advocates for and empowers rural communities to protect and restore lands, rivers and watersheds through research, training and capacity building. We envision a society with good governance, whereby human rights are respected, land, rivers and watersheds are protected and rural communities are empowered to live sustainably with nature. Originally established in 2011 to organize communities against a series of dams, we had a major victory in 2016 with the official cancellation of the Baram Dam. We now work with local and international partners to promote village-scale renewable energy systems, promote indigenous land rights and indigenous-led environmental protection, help develop sustainable livelihoods, build capacity in rural communities, and further the protection of all of Sarawak’s rivers. Job Description: The Programs Manager will lead and facilitate the development of all Save Rivers programs and campaigns. They will do so by developing a local and international campaign strategy, consulting with communities, coordinating between local and international NGOs, organizing workshops and meetings, and facilitating communications between stakeholders. The right candidate needs to have a passion for indigenous rights and environmental justice. This is a small organization. The right candidate must assume many roles and must be a highly organized self-starter. Commitment to social, and environmental justice, indigenous rights, bottom-up social change, and building social movements. Working Hours: Mon to Fridays: 8.30am to 5.30pm; Saturdays & Sundays: Rest Days. Lunch Breaks: 12.30 pm to 1.30pm. Some weekends and evenings required. In the event of your having to work on a rest day, you will be entitled to claim replacement leave in lieu of work done. Compensation is commensurate with work experience. Full benefits package. How to Apply: Please send a cover letter, writing sample, and and CV to saveriversnet@gmail.com. We will review applications on a rolling basis until the position is filled.